The Plextor EX1 will cost €79, €119 and €213 for the 128GB, 256GB and 512GB models respectively, with each model offering read speeds of 550MB/s and write speeds of 500MB/s. Both data and power will be controlled using a single USB 3.1 cable, which connects to the EX1 using a USB type-c connection. This product is designed to offer users with high-speed external storage that is both compact and lightweight, with the unit weighing only 30g. The device uses a USB 3.1 Type-C interface and is manufactured using 16nm TLC NAND from SK Hynix. This device will come with a five-year warranty and will be available in capacities of 128GB, 256GB and 512GB, with the product arriving in stores in late November. 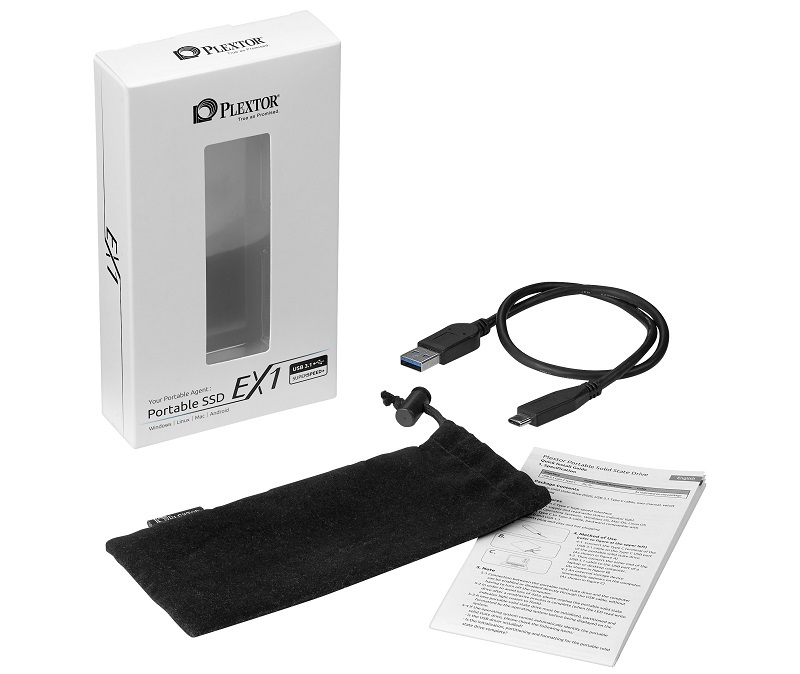 You can join the discussion on Plextor's EX1 external SSD on the OC3D Forums.